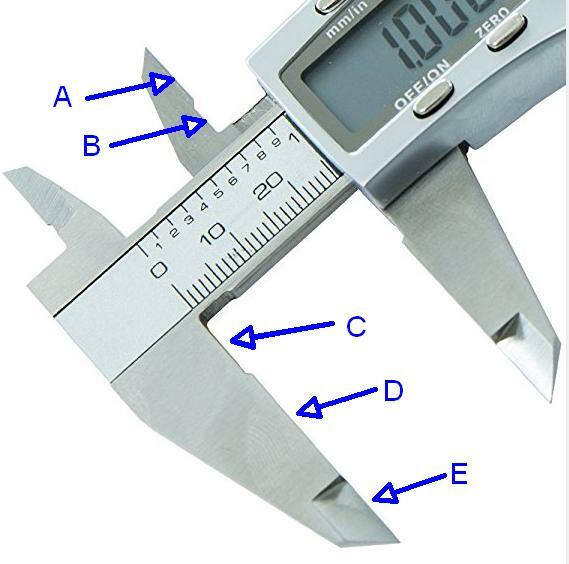 I'm curious why this particular shape of jaws on digital caliper like this one has. I mean the tapered pointy ends of the outer and inner jaws. The different shapes of the inner jaws one having a step. The jaws have a knife edge for measuring the distance between two holes, which is needed when measuring the distance between hole centres. 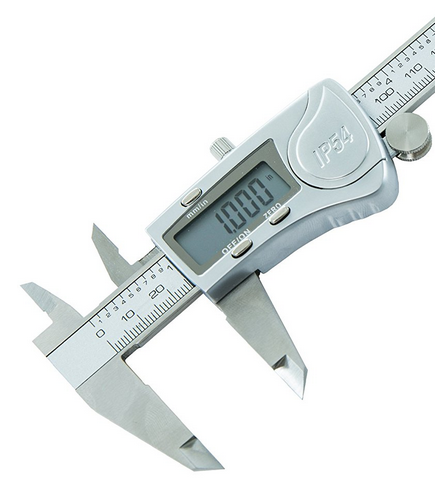 If the jaws didn't have a knife-edge tip, the width of the tip would hold the caliper away from the hole at two points and the measurement would be wrong. D - rectangular edge for measuring flat (or convex) surfaces. This edge is usually lapped flat, an expensive precision operation that cannot be easily performed up against an internal corner, hence the recessed corner. 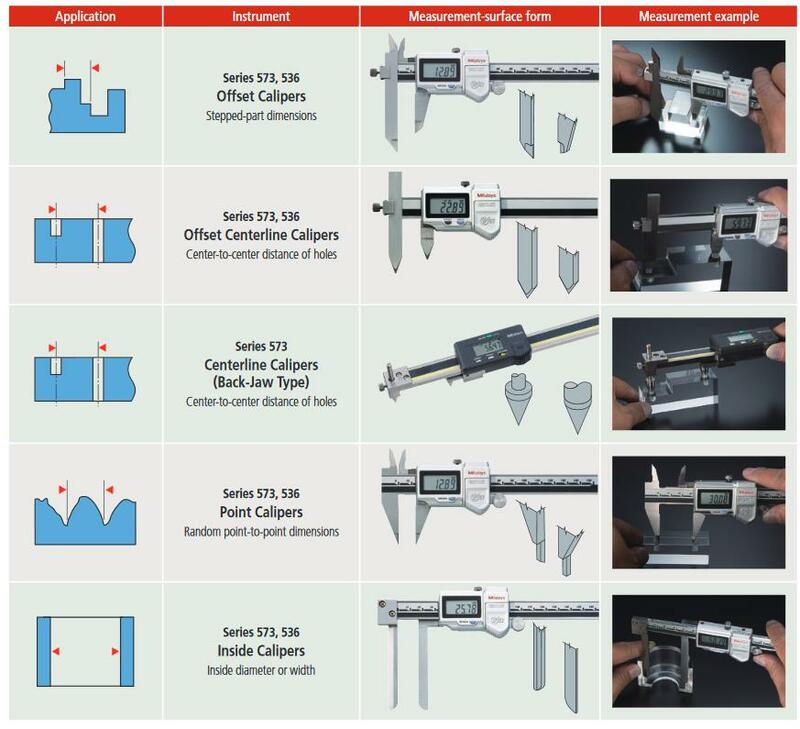 E - knife edge for measuring in holes (or similar surfaces that are concave in one dimension) or where access is limited. The recesses for clearance are found on other tools where you need to prevent sharp corners (or burrs) on the object from contacting a radiussed inner corner on the measuring tool. There are a wide range of jaw shapes available for specialised purposes. The most common jaw shape is probably a compromise that is useful in a wide range of situations. 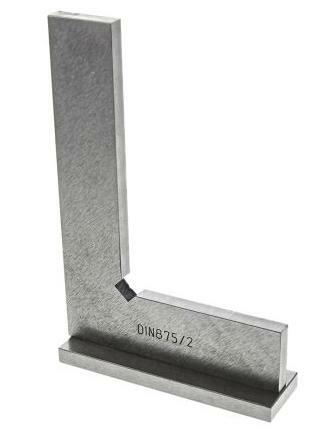 The tapered ends in the shorter inside measure jaws allow for measurement of diameter of small holes, narrow grooves or small spaces between two other parts. Is it worth spending extra to get a nicer circular saw? Why is my Hoover Pet Cyclonic belt not spinning the brush anymore? Good technique for squaring-up hardwood edges? How can I make sure my portable toolbox hasn't got any tools missing? Found an old tool - What is it?